Hat by Hattbaren, gloves by Gaucho, scarf by Pucci, bracelet by Nitty Gritty and fur coat stylist’s own. 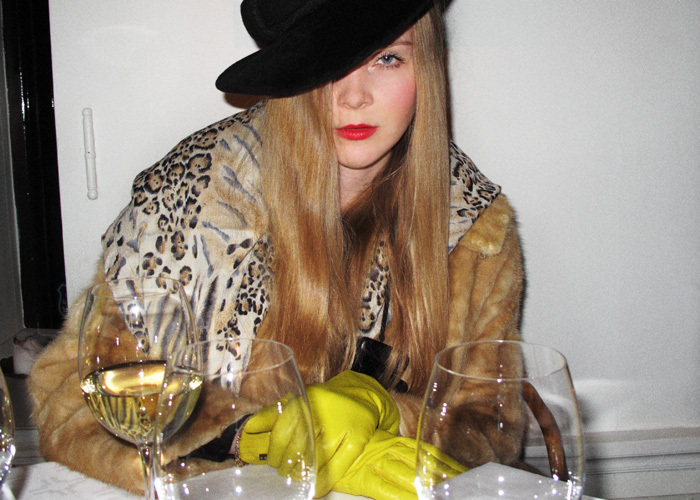 David Crockett hat by HPI, gloves by Gaucho, scarf by Sonia Rykiel and Jacket by Malene Birger. Hat by Hattbaren, gloves by Gaucho, scarf by Hermès, fur coat stylist’s own.